Sometimes, you only have to say “Hi” … and the interview just picks you. This week, Brady Hicks is joined LIVE IN THE ROOM by a good friend – and former WWE Women’s Champion – in Stacy “The Kat” Carter. Hear Stacy’s comments on everything from the criticism recently lodged against her by Ivory, being pushed into wrestling by longtime companion Jerry “The King” Lawler (and pushed out of the scene at her peak in the WWF), riding up and down the road with Lawler, Triple-H, and her good friend Joanie “Chyna” Laurer, and bearing her breasts TWICE before a live audience (once on pay-per-view!). In addition, another close friend of the show stops by, as Sean Oliver of Kayfabe Commentaries checks in to talk all about YouShoot Live with Vince Russo, this Friday, June 1st at the Crowne Plaza of Monroe, NJ, and LIVE on i-ppv! For tickets and information, visit kayfabecommentaries.com and youshootlive.com. 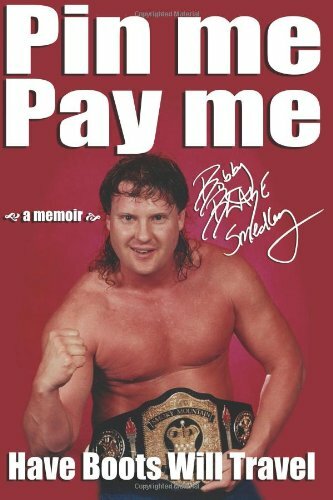 Stacy Carter will be in the Northeast all this weekend, making an appearance for Pro Wrestling Syndicate Friday night (Rahway, NJ), signing autographs at the East Coast Wrestling Association (ECWA) table at Legends of the Ring Saturday, 10 AM – 2 PM (Monroe, NJ), and Saturday night for the ECWA (Newark, Delaware). For more information, visit legendsofthering.com and ecwaprowrestling.com.